Drawn and Quarterly, 9781770463431, 480pp. When a group of outcasts have to leave the valley, how will they survive the toxicity of the big city? Richard is a benevolent but tough leader. He oversees everything that happens in the valley, and everyone loves him for it. When Lyle the Raccoon becomes sick, his friends—Omar the Spider, Neville the Dog, and Ellie Squirrel—take matters into their own hands, breaking Richard’s strict rules. Caroline Frog rats them out to Richard and they are immediately exiled from the only world they’ve ever known. 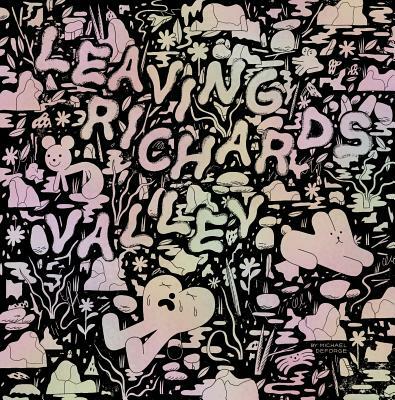 Michael DeForge’s Leaving Richard’s Valley expands from a bizarre hero’s quest into something more. As this ragtag group makes their way out of the valley, and then out of the park and into the big city, we see them coming to terms with different kinds of community: noise-rockers, gentrification protesters, squatters, and more. DeForge is idiosyncratically funny but also deeply insightful about community, cults of personality, and the condo-ization of cities. These eye-catching and sometimes absurd comics coalesce into a book that questions who our cities are for and how we make community in a capitalist society.